Extreme Cakeovers – 5 Stars from City Book Review! 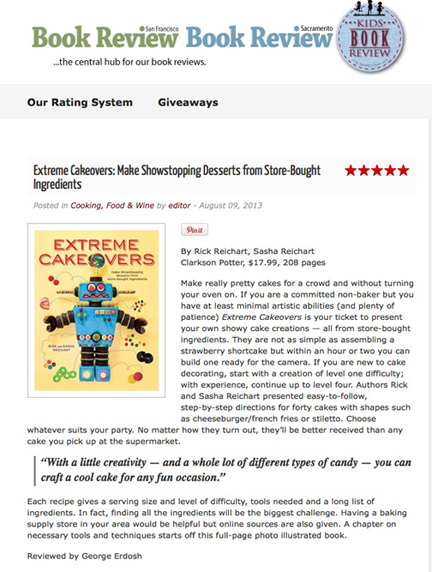 Extreme Cakeovers was recently reviewed by City Book Review, the central hub for the San Francisco Book Review and Sacramento Book Review. We are thrilled to report that Extreme Cakeovers received 5 Stars from the reviewer George Erdosh along with a very nice write-up of the book! You can visit the website of the City Book Review to read the full review. This entry was posted in News on August 25, 2013 by Sasha Reichart.